The pair is being corrected. Earlier Euro rebounded from the local correctional level of 61.8%. It looks like the bulls’ next target is in the area formed by the levels of 161.8%, 78.6%, and 50%. 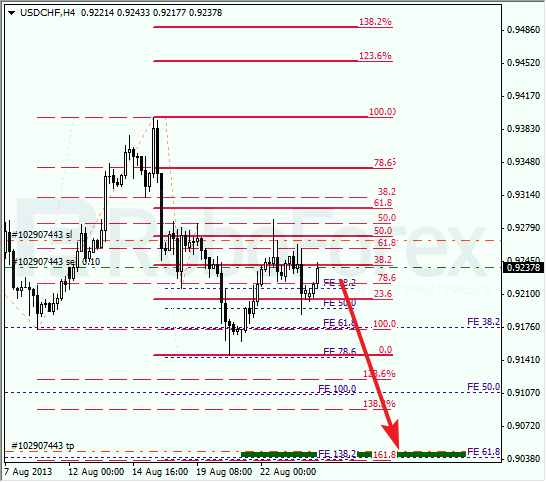 At the H1 chart we can see, that the temporary fibo-zones indicated the exact moment, when the price rebounded from the level of 61.8%. I’ll move the stop on my order into the black as soon as the price breaks the latest maximum. Later, the upper target levels may become a starting point of a new, deeper correction. After rebounding from the correctional level of 50%, Franc is trying to start a new descending movement. During a local pullback, I opened a short-term sell order. 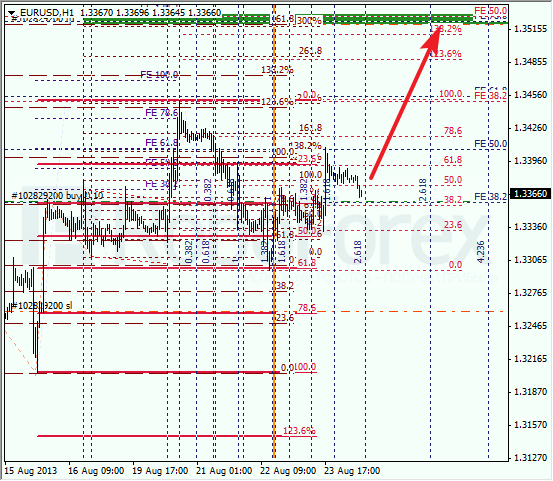 The target for the bears is in the area formed by the levels of 138.2%, 161.8%, and 61.8%. 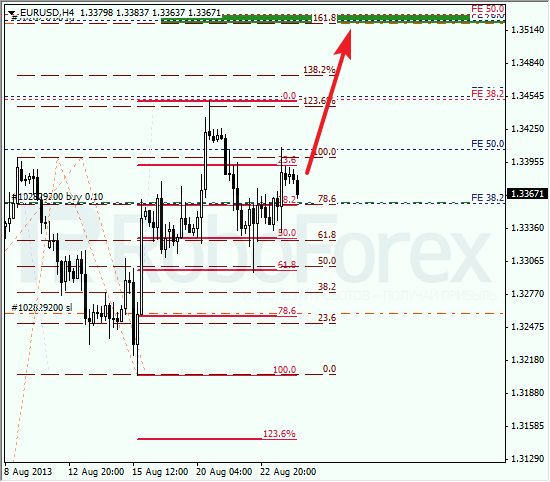 At the H1 chart, the pair rebounded from the level of 50% right inside the temporary fibo-zone. The next target for the bears is in the lower target area; the market may reach it in the second half of Tuesday.